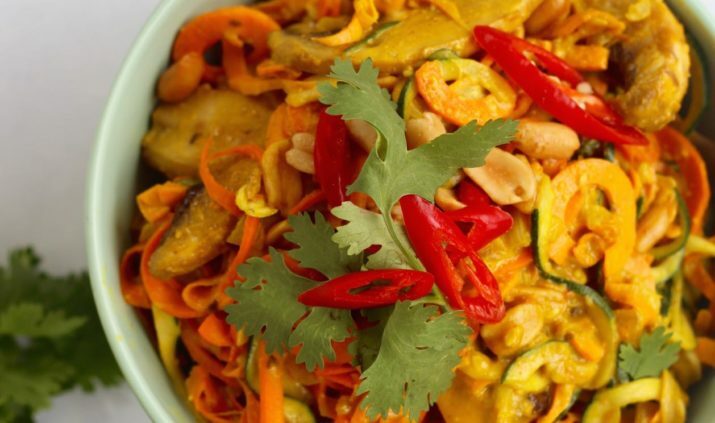 6 gluten free, grain free and vegetarian dinner recipes. 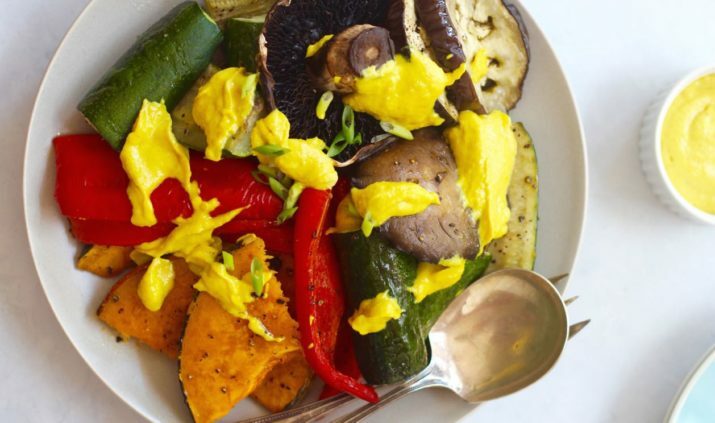 These gluten free, grain free and vegetarian dinner recipes are about to make you very hungry. They’re all super easy to make and will please everyone… yes even the meat lovers! We’re not vegetarian but we will have random vegetarian days, this is why we created all these recipes. These 6 recipes are now available on the Get Merry app! Just checkout the bundle section. And don’t forget when you download the app you’ll have access to over 200 recipes and then have the option to unlock even more recipes! You’ll never have a what should I cook for dinner? moment again! 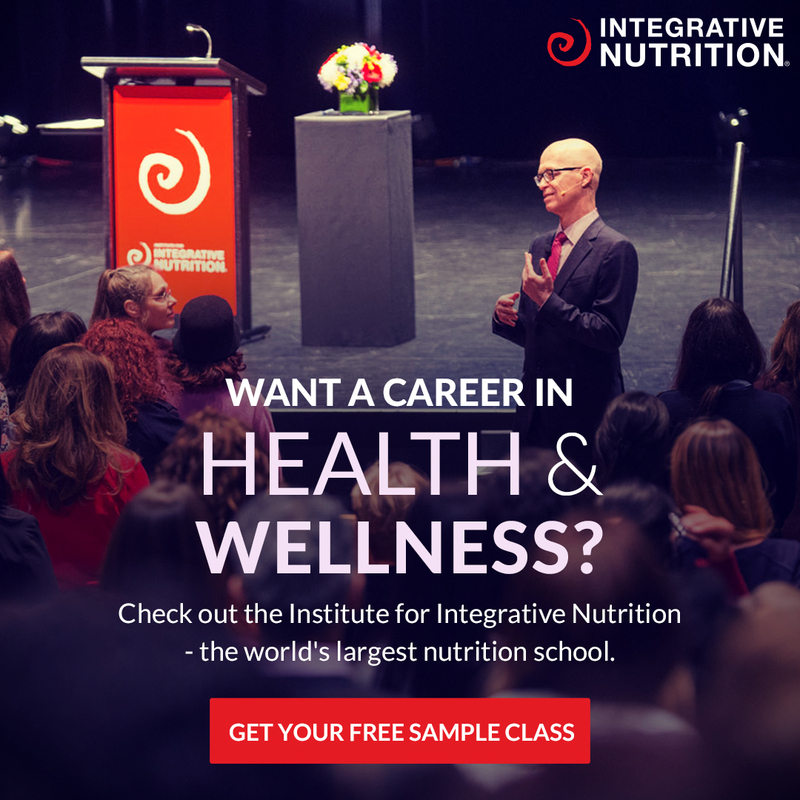 Download your app today! This dinner may look kind simple but it’s 100% delish! The cashew cheeze is ridiculously tasty. 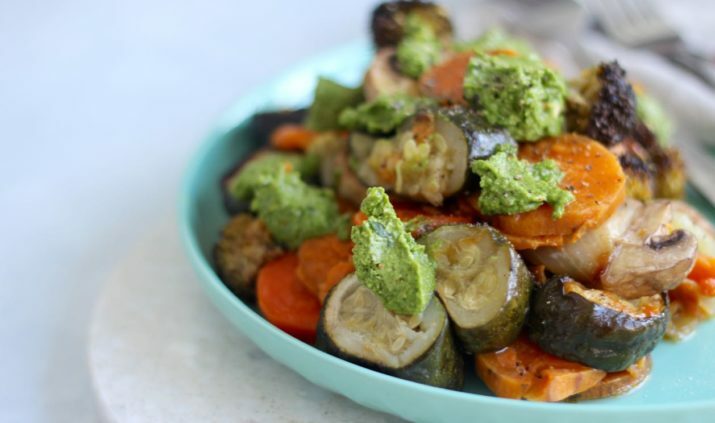 So pumpkin and pesto are officially a winning food combo! We added real cheese and far out… this was one of the best meals we’ve ever made (and eaten). We probably don’t even need to say anything. If you love satay (who doesn’t?) 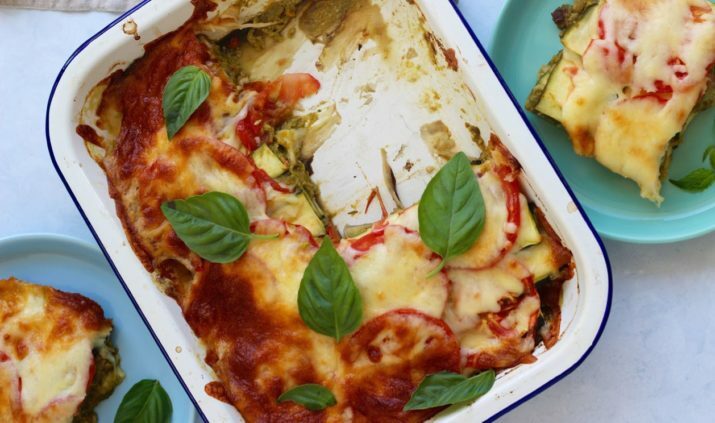 then you will love this recipe… the bundle is worth it just for this recipe we reckon! No need to overcomplicate weekday dinners we say! Such a simple recipe but the basil pesto makes it a bit spesh. 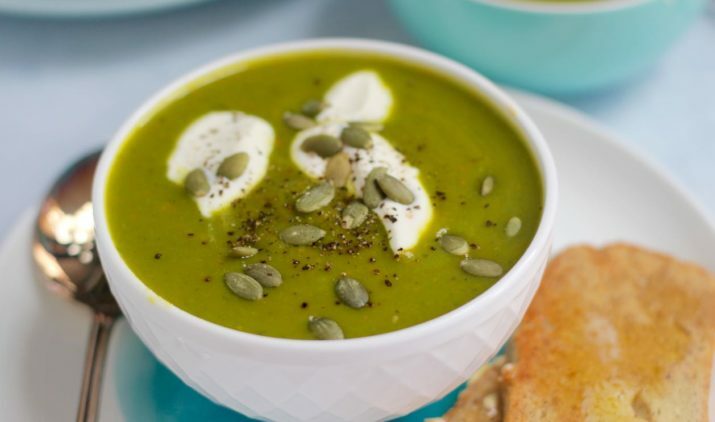 This soup is guaranteed to give you all the greens you need to feel bloody amazing. Bake up one of our grain free bread recipes and you have a mega delish dinner on your dining table. 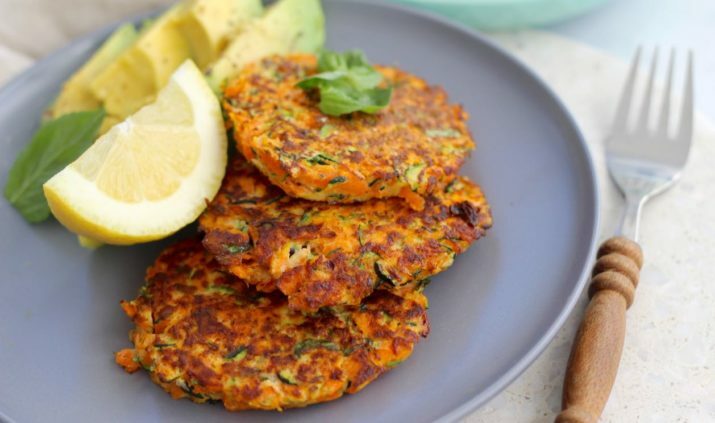 We vote fritters make the perfect dinner! Ok, they make perfect lunch and breakfast too! But serve these with a stack of guacamole and extra greens and boom… yum as healthy vegetarian dinner recipe! 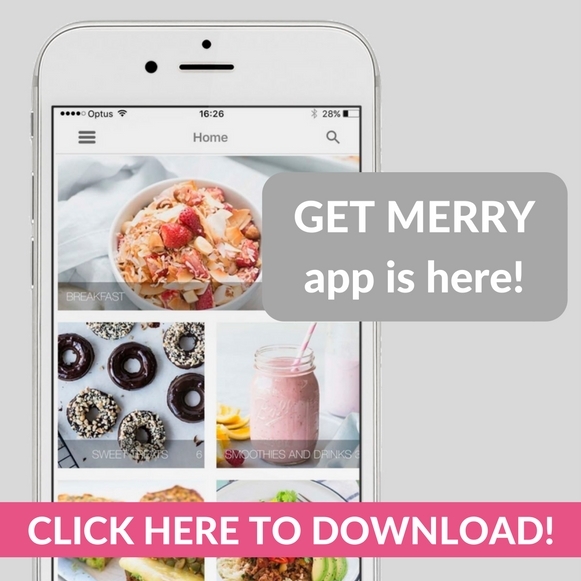 Get your Get Merry app right HERE!